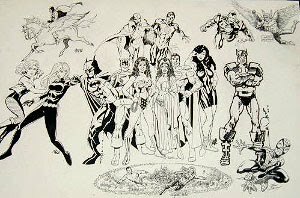 Although George Perez did not attend the 2001 Charlotte Convention, he did kick off the charity artwork with a Captain America/Superman/Wonder Woman/Scarlett Witch drawing. This book contains a color page (by Tom Smith) and a black and white page. 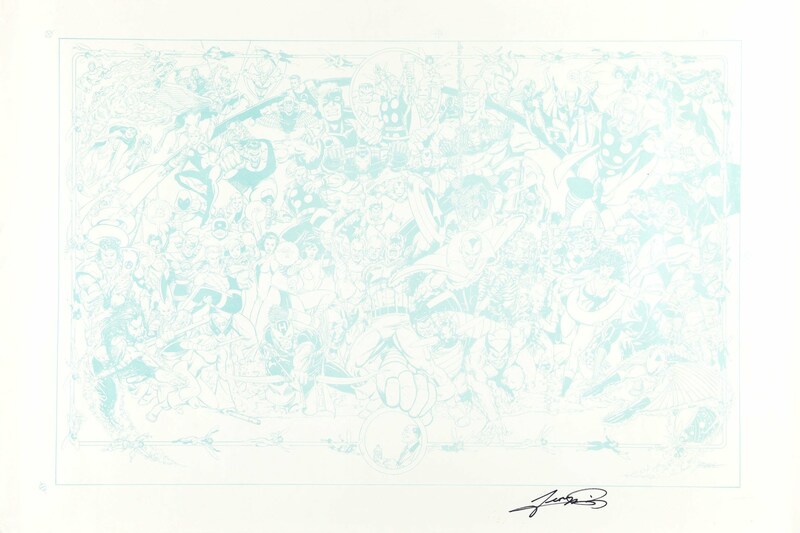 George Perez contributes to the center of the jam. Thanks to Elayne Riggs for the heads-up on where to find the photos. Since you all ask so nicely here you go. The cool story about this one is ..YOU CAN OWN IT ! In glorious Perez pencil & ink Black & White of course. George did this as the center sketch for the artist jam board for the Burned Children's Fund Charity art auction which will be auctioned off on Sunday, June 10 th at this years big AVENGERS Hero's Con 2001 in Charlotte North Carolina. When it is done it will have all Avengers heroes on it drawn by most of the Con's artist guests. 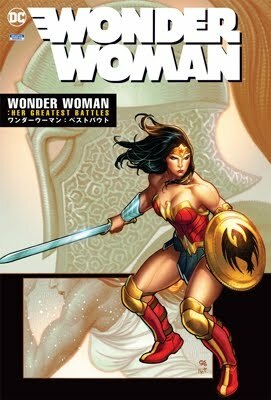 There will be something by Alan Davis, Walt Simonson,Steve Epting,and maybe we can get Adam Hughes to add to it as well as many others. Or you can bid on the tons of original art / prints / signed comics that is donated by the artists and dealers for the auction too. So if your in the area stop in , join in the fun and place your bid. But the promoter " Shelton Drumm " loved this art so much he wanted to have it colored and put in the program book too so he called me. So here is it in all its digtal colored glory.